The idea for a bird park first came to “Father of Jurong” Dr Goh Keng Swee in September 1967 while he was in Rio de Janeiro for a World Bank meeting and visited the Rio Aviary. He became certain of his idea after visiting the Bangkok Aviary in Thailand where he learnt about the profitability of such a park. In 1968, when asked why JTC had not elected to build a zoo instead (the Singapore Zoo had not yet been built), Dr Goh said: “Birdseed costs less than meat.” It was also recorded in Lee Kuan Yew’s book From Third World to First: The Singapore Story, that Mr Lee and Dr Goh both felt that the upkeep of animals such as elephants and tigers would be too expensive and hence, a bird park was chosen ahead of a zoo. Dr Goh saw the value in having a bird park that would be accessible to all and ensured that entrance fees were kept “modest” at S$1.50 for an adult and 75 cents for a child, at least during its initial years of operation. 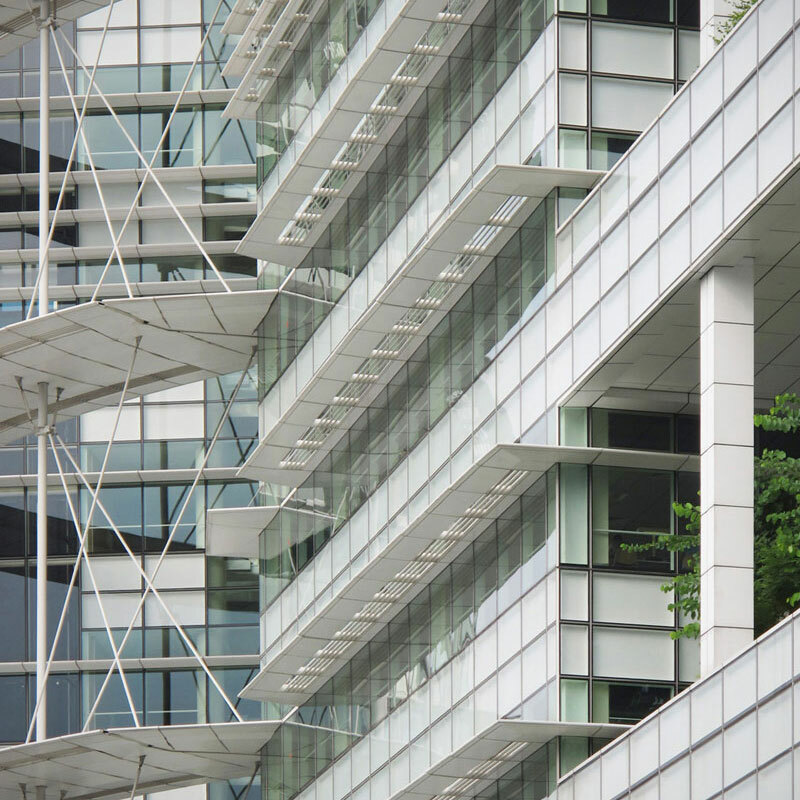 In constructing the park and its neighboring plots, The Jurong Town Corporation (JTC) converted and reclaimed about 50 acres of hills and “waste” land. 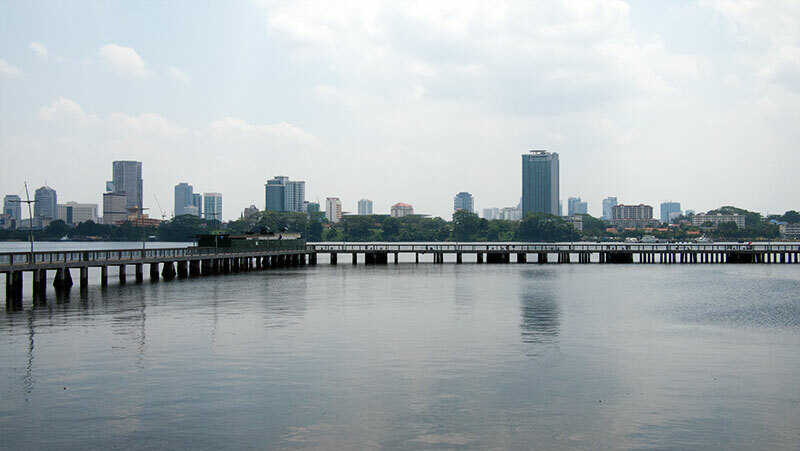 A portion of this land was left hilly and become known as Bukit Beropok Park (or Jurong Hill), with the observation point, Jurong Tower at its peak. 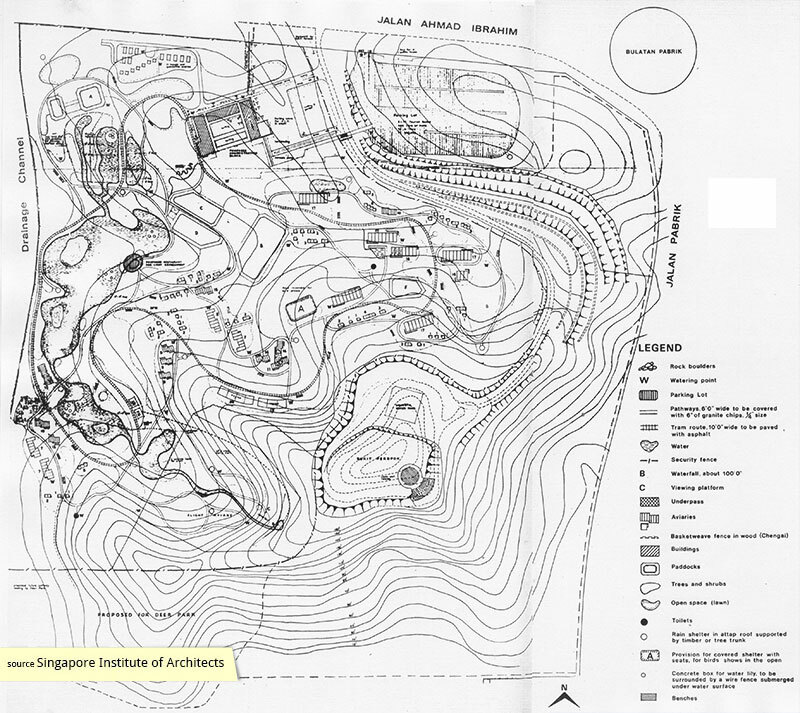 Old plans also indicate that a deer park was proposed towards the south of the Bird Park, and at the time of the area’s planning, there was no suggestion of the eventual Jurong Reptile Park. The Bird Park was designed by J.J. Yealland, curator of birds at the London Zoological Gardens, who was regarded as the world’s top bird curator, and J. Toovey, aviary architect also from the London Zoological Gardens. Their services were made available without cost to JTC. 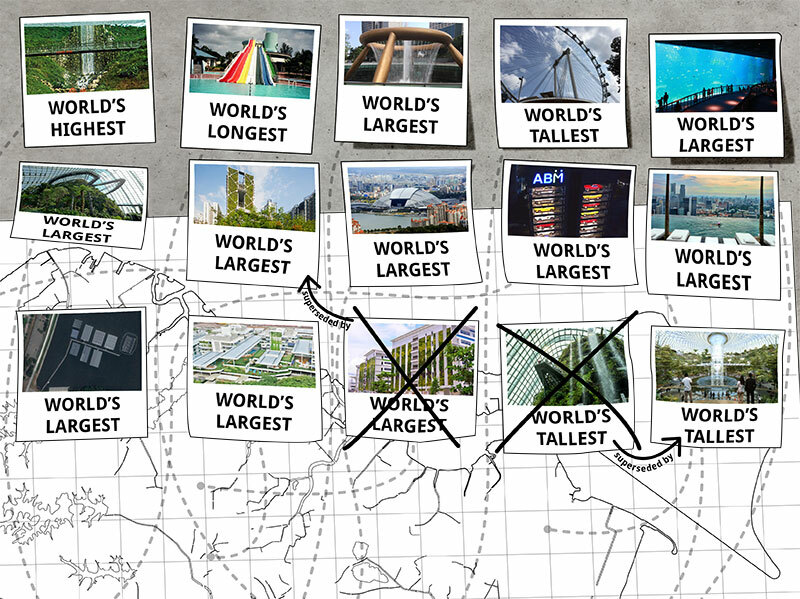 The Bird Park cost over $5 million to construct, with the walk-in aviary alone costing around $1 million. 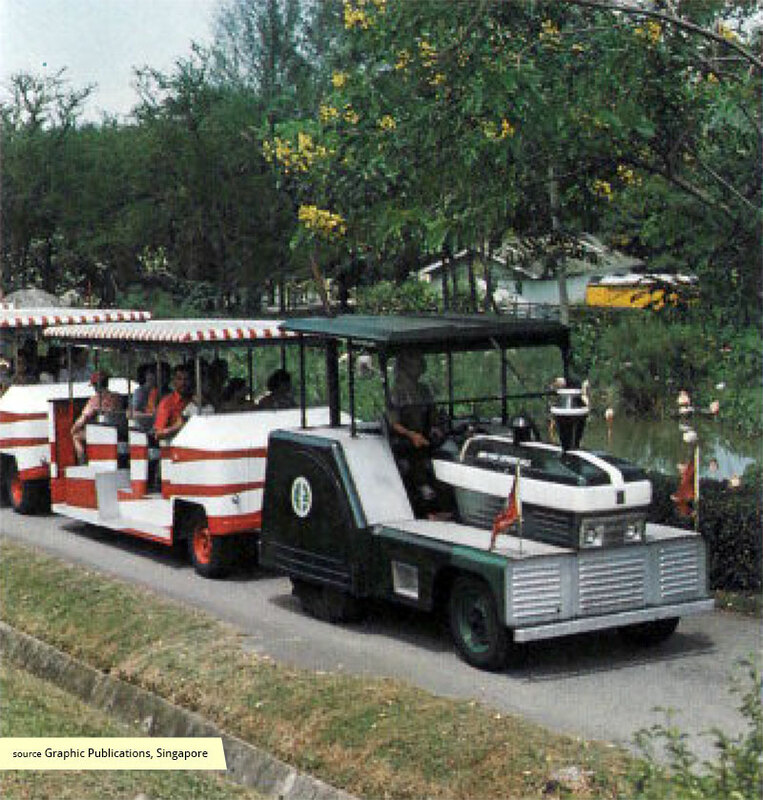 The Jurong Bird Park was organised around a loop which was serviced by trams. Visitors could hop on and off the tram at any point along the route. Incidentally, while the tram was a convenience for visitors, a very pragmatic Dr Goh once noted that the tram service would “not make our society more rugged”. Because of the intensive modification to the area’s surface topography, a deliberate and unique terrain at the Bird Park was able to be achieved. Visitors first ambulate around the various ridges and draws on the north side of Jurong Hill, before descending to a flatter, more expansive area where five artificial ponds were located. On the swan and pelican pond sat a “floating” restaurant which served fresh fish caught from the adjacent flamingo pond. The main feature of the Bird Park was certainly the Jurong Falls Aviary, located at the midpoint along the circulation loop. The aviary was constructed in a 50 ft deep gully where birds could fly free within the confines an enclosing netting 50 ft above. It was dotted with trees and two fly-overs for birds to perch and nest. 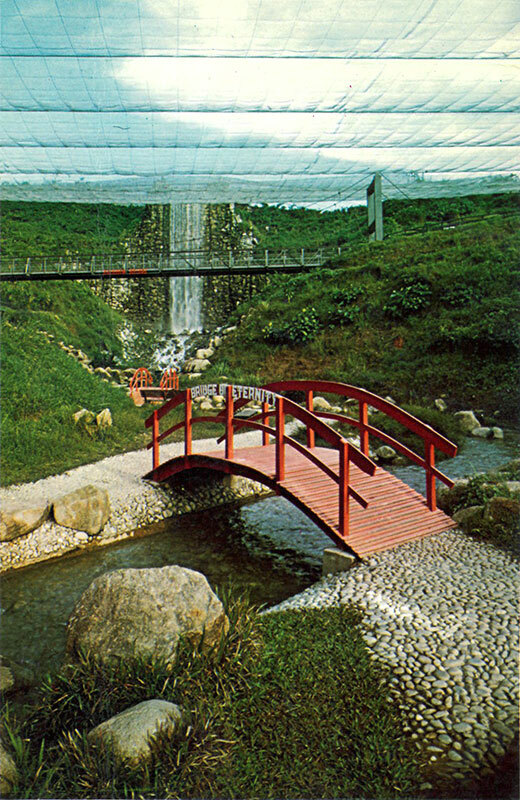 The centrepiece of the aviary was the 30.5 metre high man-made scenic waterfall, the highest artificial waterfall in the world at that time. Besides the walk-in aviary, there were some 78 display aviaries and 18 transit aviaries, with each aviary landscaped to simulate the natural habitat of its inhabitants. 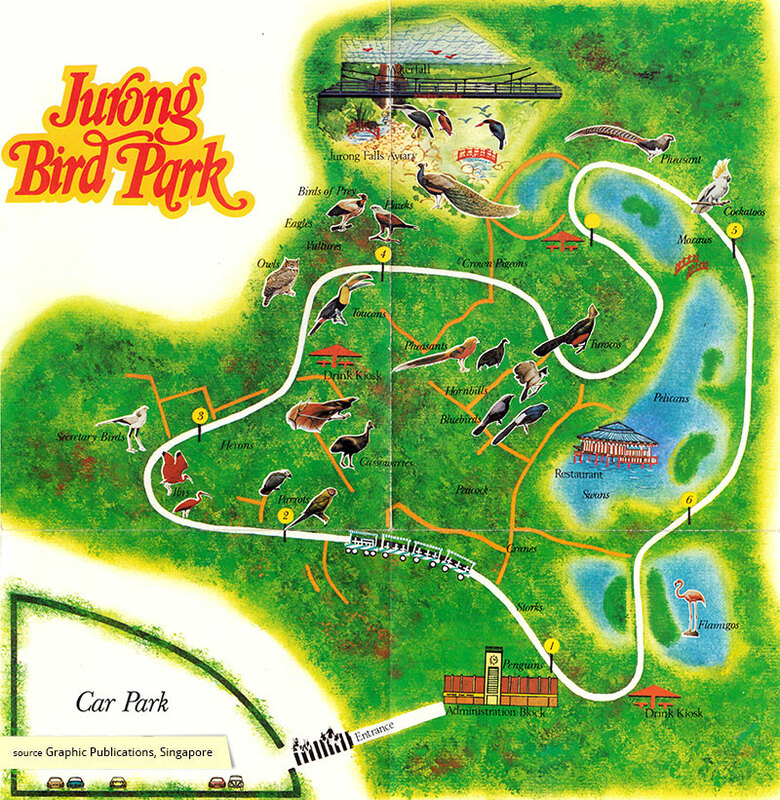 Over the years, the Jurong Bird Park has undertaken several redevelopment projects. One significant such programme started in 1986 and was carried out over the next seven years. 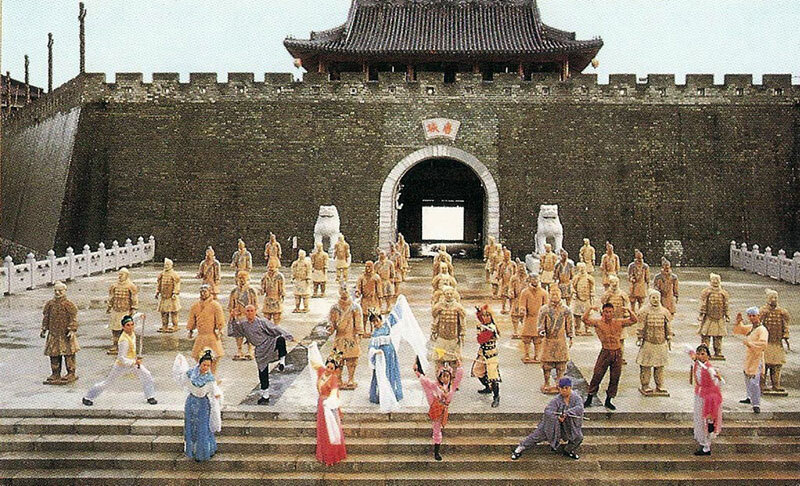 A new entrance plaza, 240 seat air-conditioned theatrette, 2,000 seat covered amphitheatre, and a monorail system, were all built in that period. In September 2014, it was announced that the Bird Park would be relocated to Mandai, joining the Singapore Zoo, Night Safari, and River Safari to form a new 126 ha eco-tourism hub. Expected to open by 2020, the new 17 ha Bird Park in Mandai will house “one of the world’s largest collection of birds”, and feature nine walk-in aviaries, up from the three at its current Jurong location.